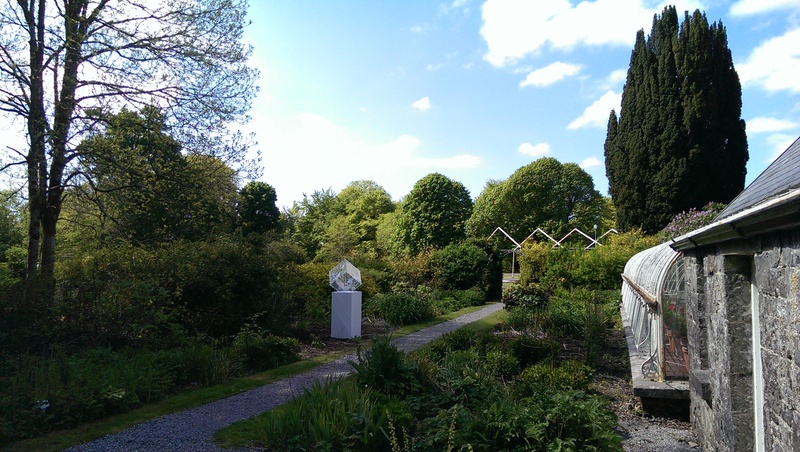 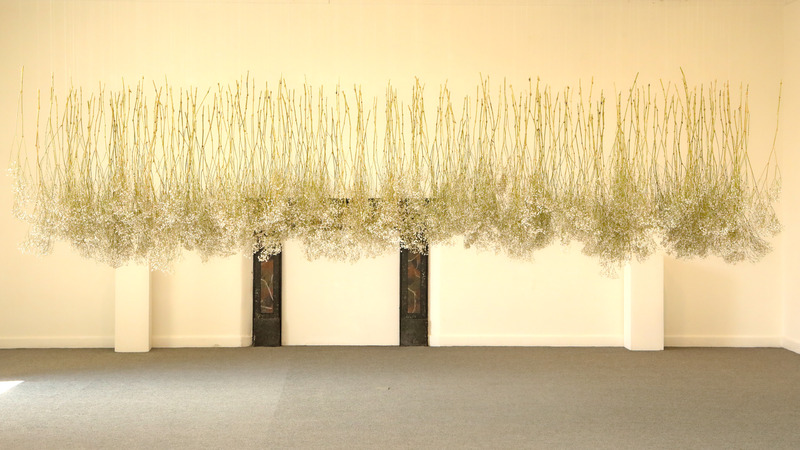 July 2018, 2018, (26ft length x 4ft height), gypsophila flowers. 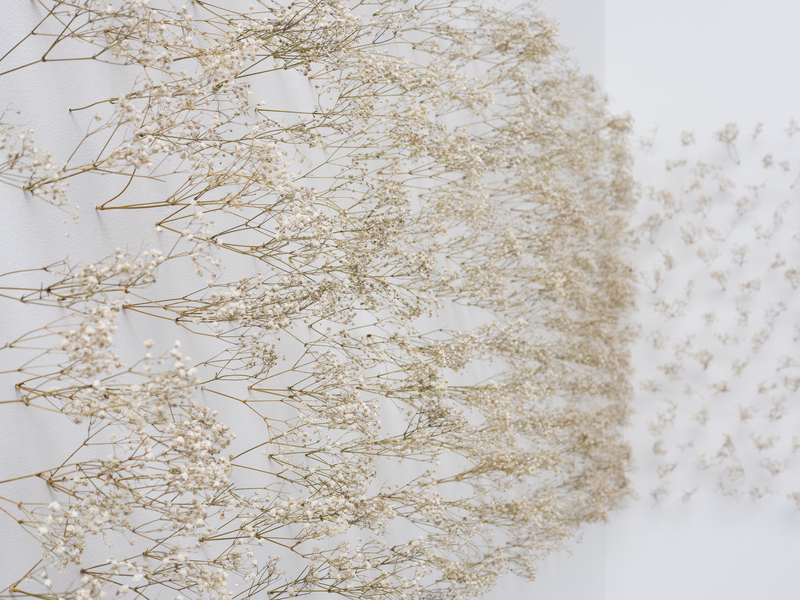 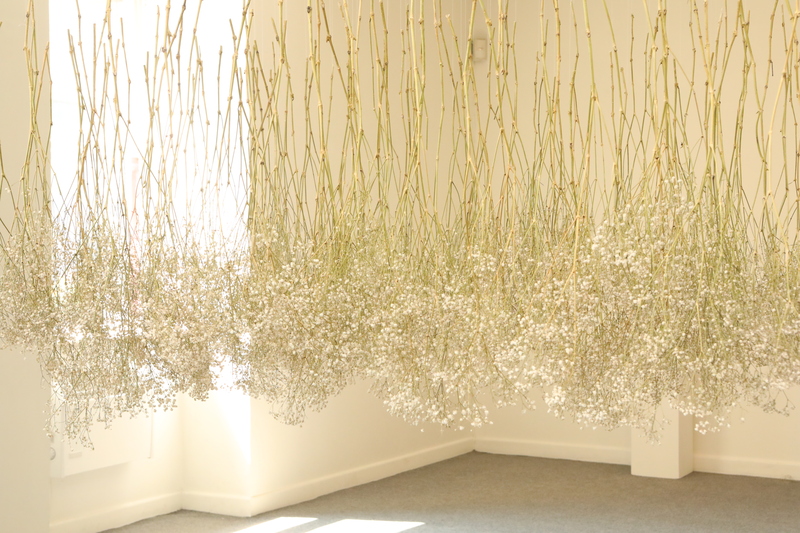 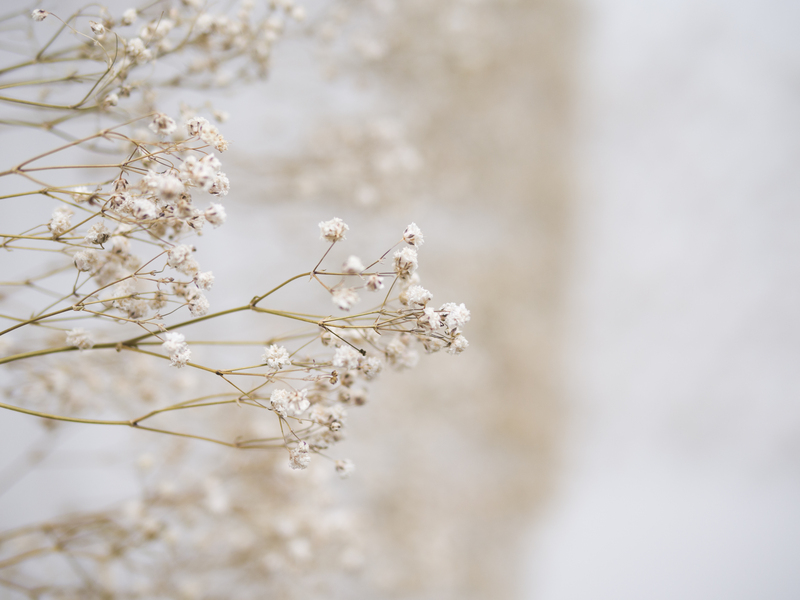 Entropy, 2018, (15ft length x 5ft width x 3ft height installation) gypsophila flowers, invisible thread. 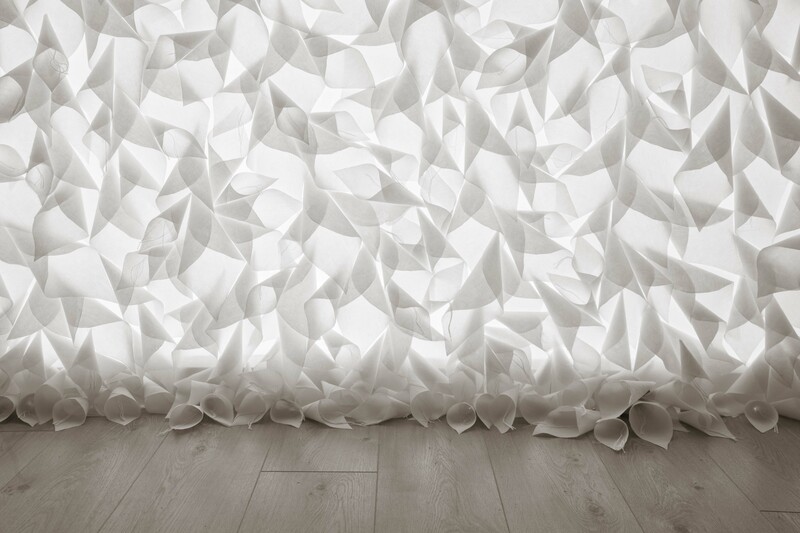 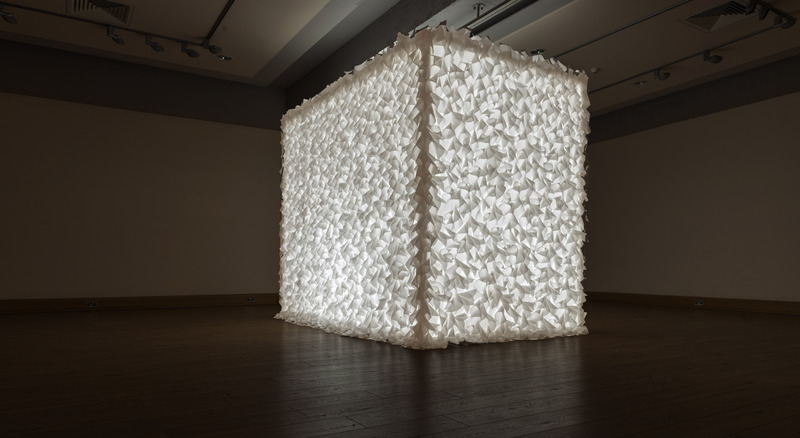 Paper Bloom, 2016, (10ft length x 6ft width x 8ft height Installation) 5,500 fabric lilies, cotton fabric, wooden frame, florescent lights. 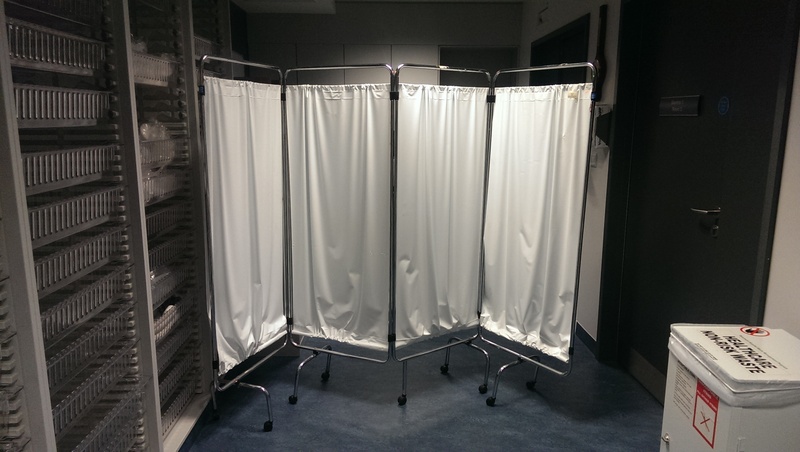 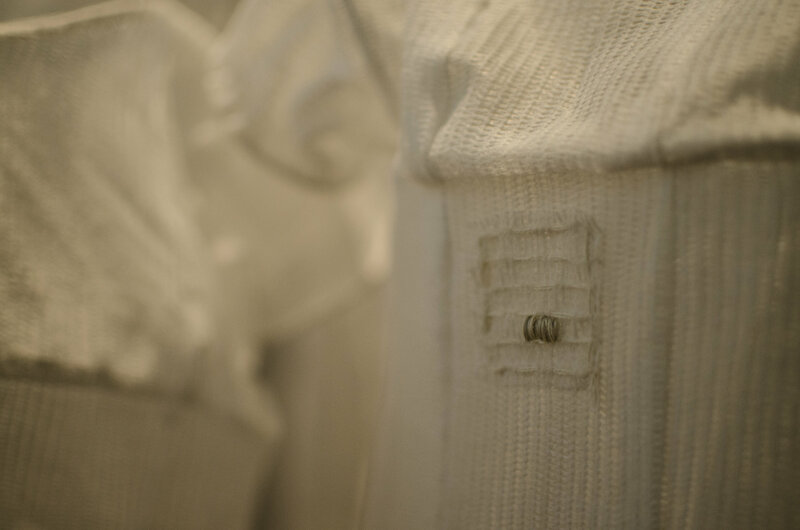 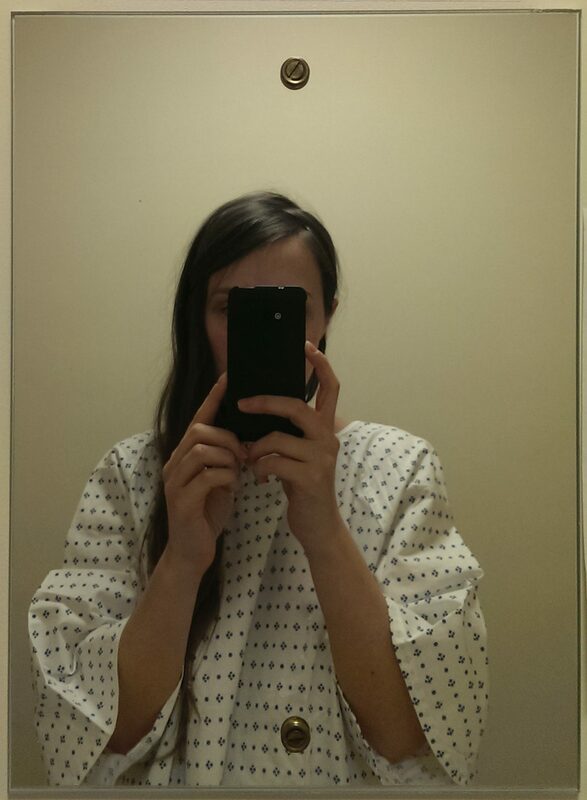 Nothing was Left to Chance, Everything was Clinical, 2015, (12ft X 7ft installation), hospital gauze, cotton thread and wire. 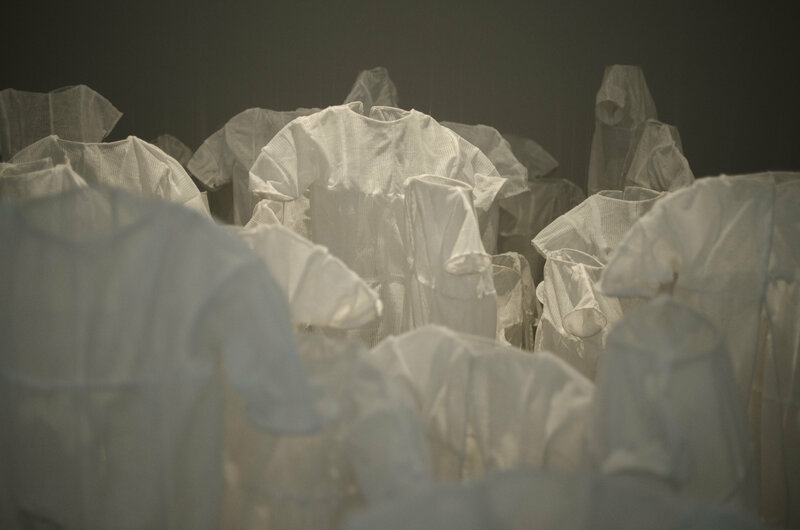 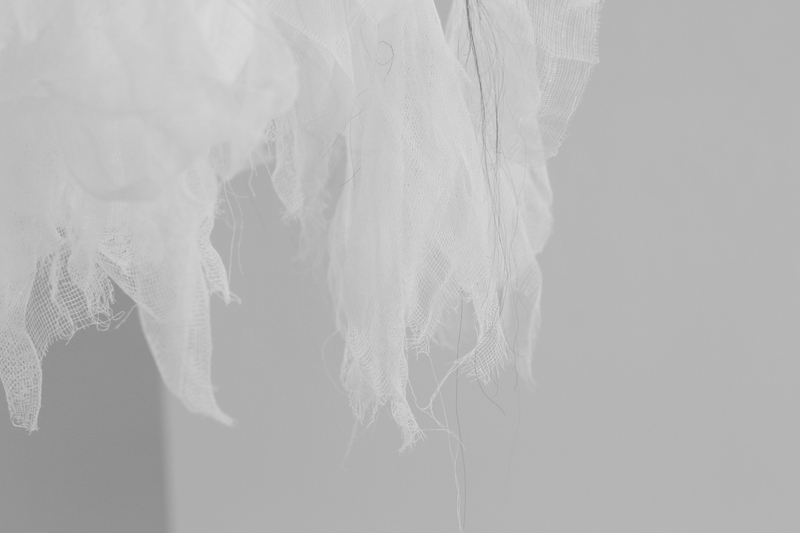 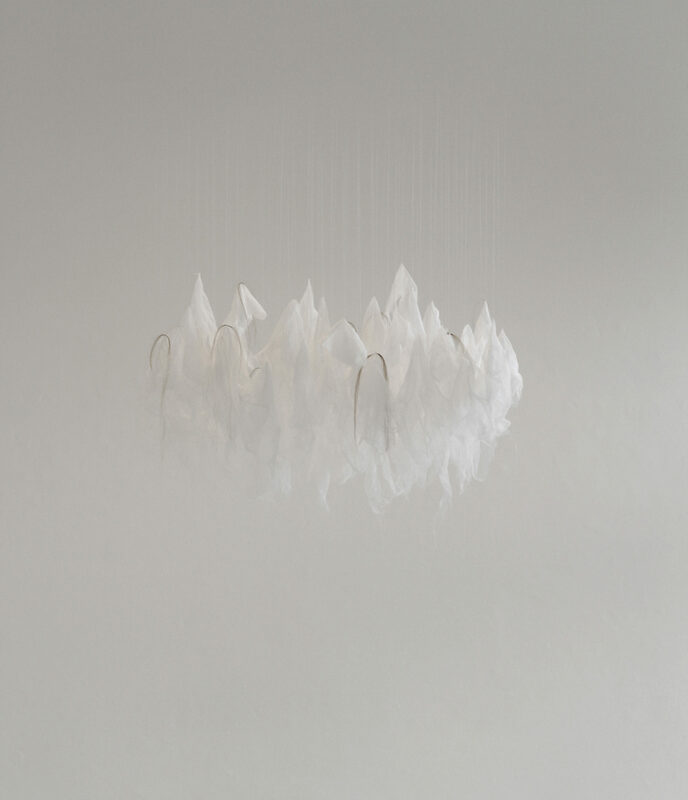 The Clouds Came down We lost our Path, 2016, (5ft X 3ft installation), hospital gauze, the artists hair, cotton thread and invisible thread. 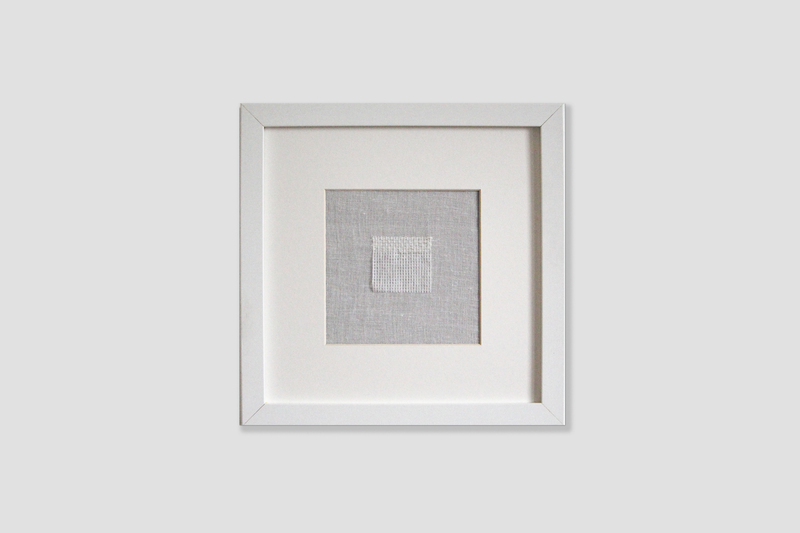 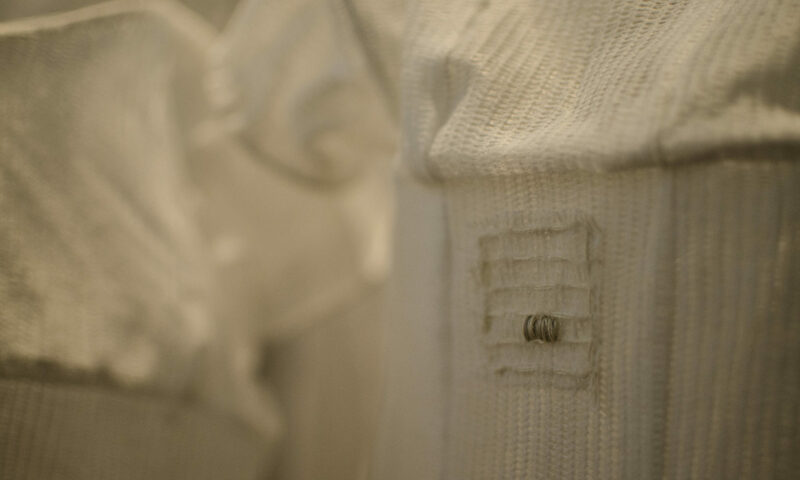 Hospital Gauze Embroideries, 2015, 4 3/4 x 4 3/4 inches unframed / 9 x 9 inches framed, gauze and cotton thread – embroidery series.